My original plan was to make a home made baked beans recipe, however as per usual I got excited when I saw a pork shoulder in the grocery store. So I decided to make something a little different. I’ve been posting a lot of vegetarian food here lately. I LOVE a good vegetarian meal and try to eat veggo at least 1-2 nights a week lately. I think it has helped my weight loss actually. But tonight I wanted to make some good hearty old fashioned American fare that could be eaten for breakfast, lunch or dinner. Traditional pork and beans uses haricot beans, but I have a soft spot for butter beans and kidney beans, so please forgive me this transgression. It is a great meal to make on a Sunday when you have time to slow cook some meat and take your time with the beans. 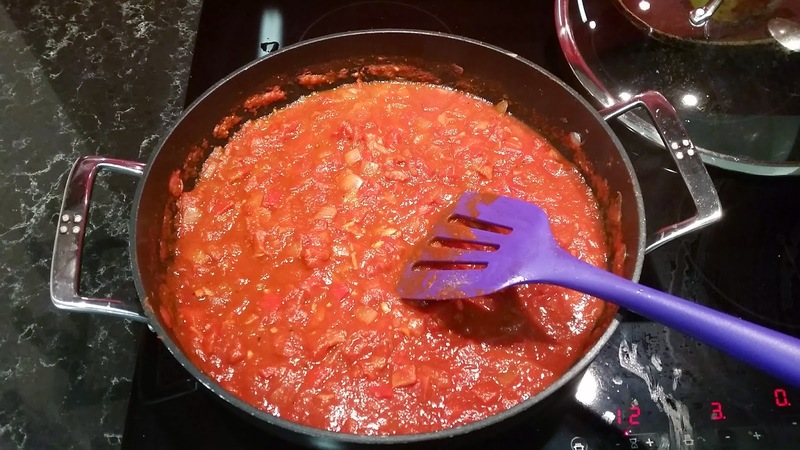 The recipe will feed 6-8 depending on your serving size, and it really does taste better each successive night as the flavours infuse more into the sauce. Served with a piece of crusty bread or just on its own, this is a heart and tummy warming treat. Switch out veggies to change it up. A mirepoix of onion, celery, carrot and garlic would be a good base, or add some grated zucchini. 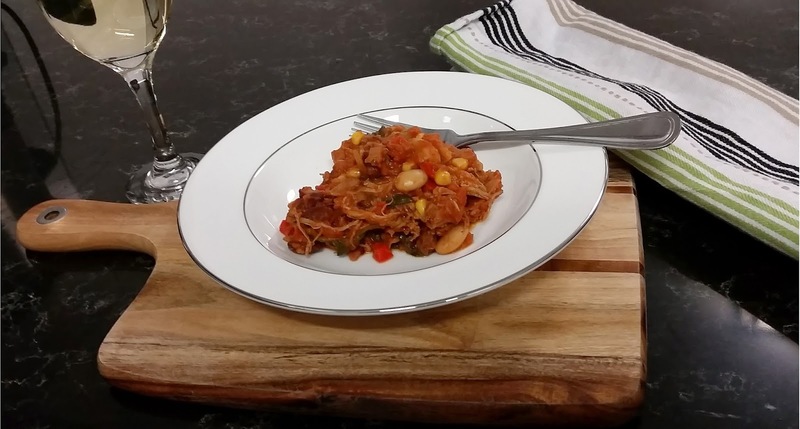 For a vegetarian option just leave out the meat – I have made it before as a home made baked beans recipe without any meat and it was lovely. If you don’t have time to slow cook the pork, you can purchase pre-packaged pulled pork in some grocery stores nowadays. Alternatively, you could pan fry pork chops, slice them and stir them through for a different texture. Cook the pulled pork in your slow cooker as per this recipe for approximately 5 hours (omitting the Chipotle BBQ Sauce). Yes – it is a long time. Yes, it is worth it. In the last hour of slow cooking, fry the onion and bacon in a small amount of oil. I prefer rice bran oil because it has a higher burning point before it becomes unhealthy. 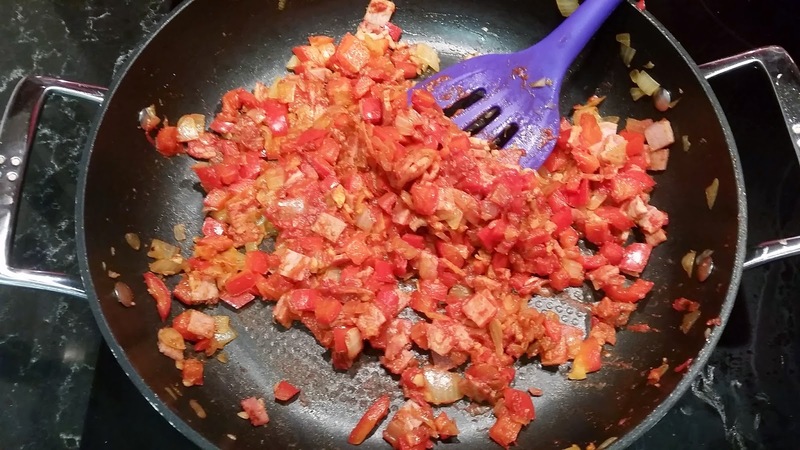 Add capsicum and fry until the bacon is browned and the onion is translucent. Add garlic, tomato paste and spices, stir for 1 minute. Stir through tomatoes, Worchestershire sauce, corn, dijon mustard, salt and pepper. Bring to the boil then reduce to a simmer for approximately 30 minutes or until it is at your desired consistency. 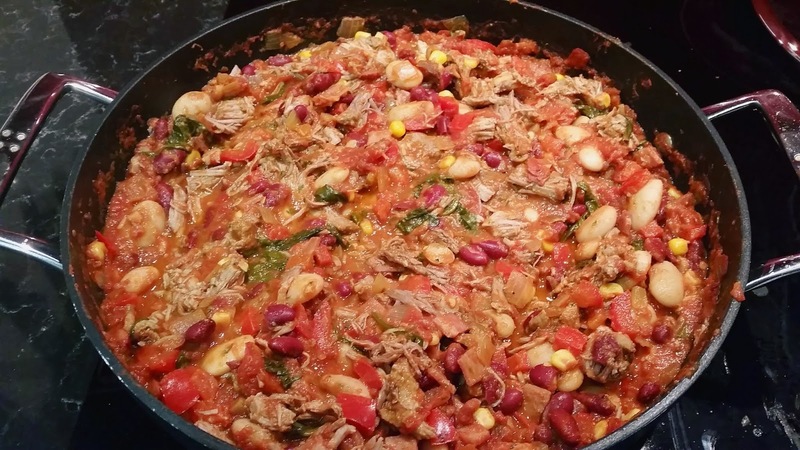 Stir through the pulled pork, beans and spinach. Cook, stirring for a further 5 minutes. This meal is melt in your mouth deliciousness and it makes so MUCH! I just love it. Om nom nom can I have another? Also please excuse the low quality of these photos – uploading them seems to be reducing their quality for some reason and I can’t seem to fix the problem. Hopefully I’ll get it sorted asap! This looks amazing! I've cooked pulled pork using coke (I know!) and a cajun spice mix, but adding the beans sounds awesome!